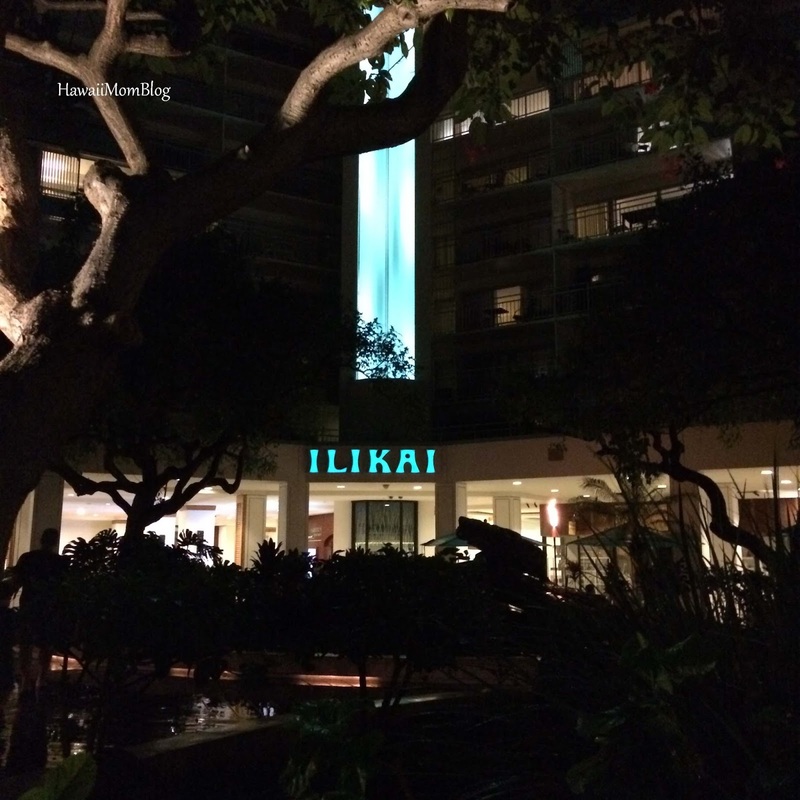 The Ilikai Hotel & Luxury Suites is a Waikiki landmark. Having gained world-renowned status from being featured in the opening sequence of the original Hawaii Five-0, the Ilikai Hotel & Luxury Suites has gone through many transformations over the past fifty-plus years since being erected. 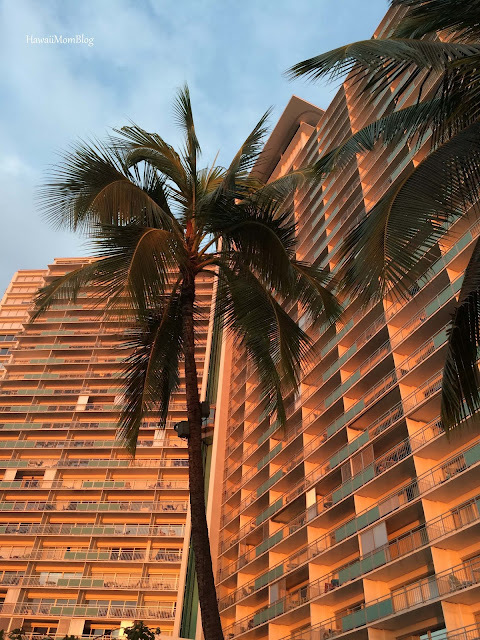 Yes, the exterior may look a little dated, but beyond the turquoise panels of this historic high-rise are suites that rival those of many luxury hotels throughout the state. 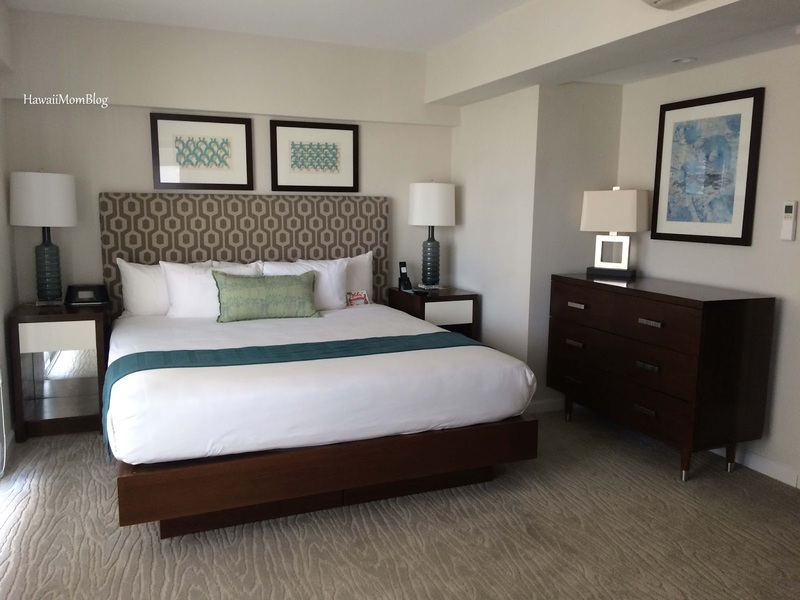 Earlier this year I had a chance to tour the newly-renovated Luxury Suites, and I was extremely impressed - so much so that I just knew I had to experience a stay in a Luxury Suite with my family. After pulling up to the valet, I walked upstairs and stepped into the modern lobby that was tinged with tropical touches. 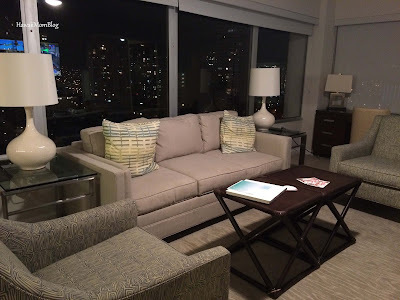 I checked in at the front desk, and our family went up to the 22nd floor to our Luxury 2-Bedroom Suite. "Wow, this is the nicest room ever!" 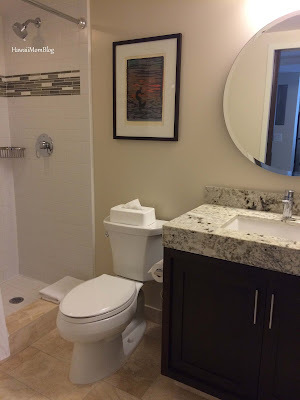 "We have two bedrooms! I'm sleeping in this one by myself!" "Can I look out on the balcony?" "This room is so big!" "Can I stay here forever?" The clean, spacious living room with a dining table, desk, sofa bed, and chairs was bigger than most guest rooms that I've stayed in at other hotels. 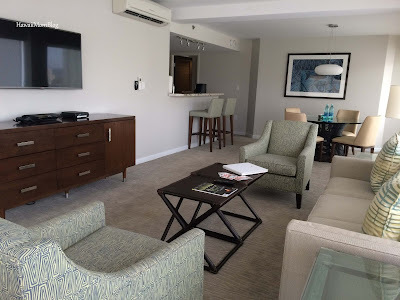 Our family would've actually been very happy with just the living room, and we all could've squeezed in on the sofa bed at night, but we were spoiled with so much space in the huge suite. 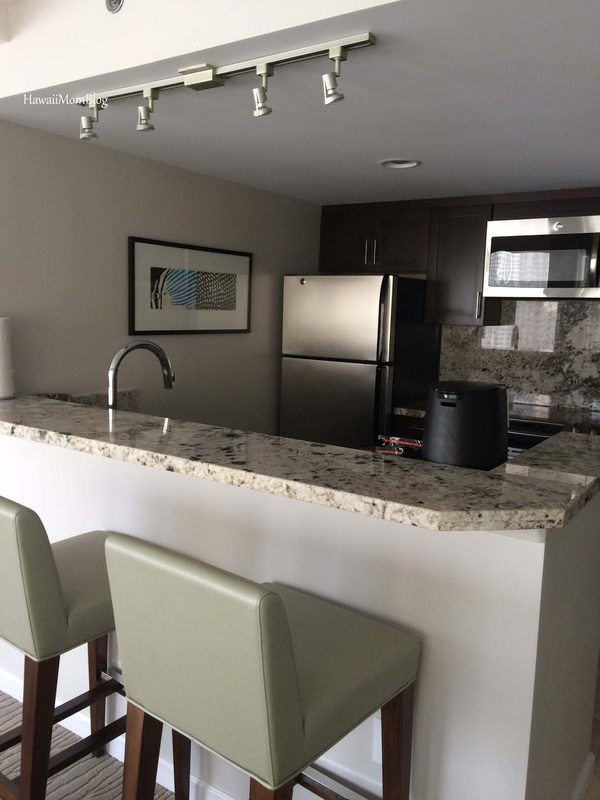 In addition to the large living room, the 1240 square-ft suite came with a fully-equipped designer kitchen with stainless steel appliances, Italian cabinets, and granite counter tops, all of which sparked some envy (as a constant baker I wish my kitchen was that modern!). The kitchen has everything you need - pots, pans, baking sheets, dishes, flatware, etc. The suite also had two bedrooms, each with a television, bathroom, and balcony access. 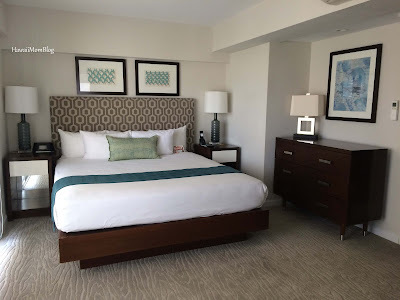 The clean and crisp decor of the bedrooms, with pops of greens, blues, and yellows, was very inviting (I actually went out and bought some new decor items in the same color scheme for my bedroom at home after I first toured the suites a few months ago). 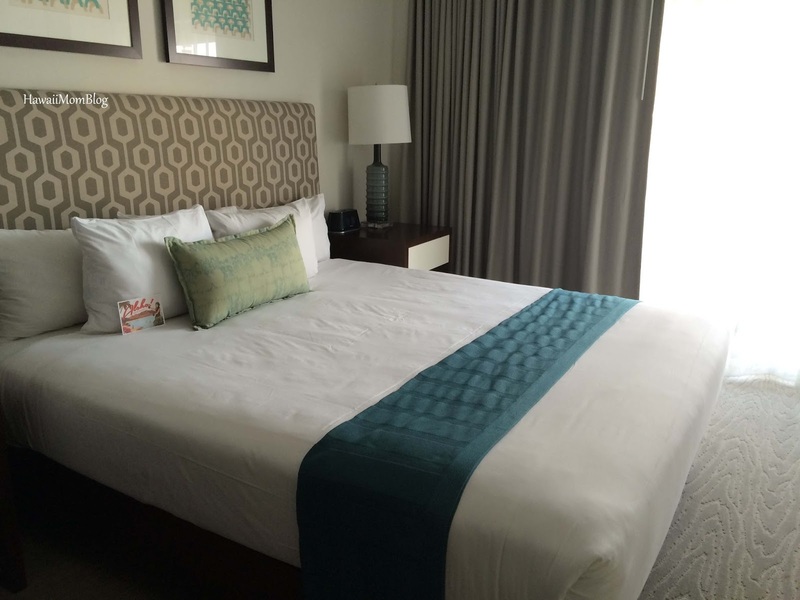 Both bedrooms were spacious, and although one bedroom did not have black-out drapes, super comfy beds and air-conditioning in each room resulted in long naps and restful sleeps. 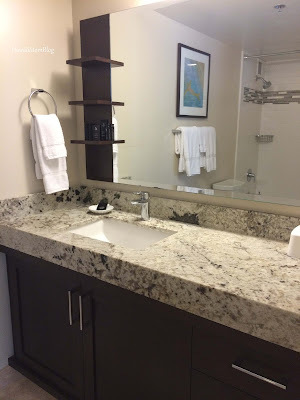 The designer bathrooms (one with a walk-in shower, the other with a tub) included custom tile and granite, with Paul Mitchell Awapuhi amenities. The balconies could be accessed via the living room or either bedroom, providing us with pretty views of both the ocean, as well as the hustle and bustle of the city (which won't disturb your sleep thanks to sound-proof sliding doors). We were blessed with a full rainbow! The city lights at night were just magical! As much as we loved the suite and were content to lounge in it all day and night, we did take some time to venture out. 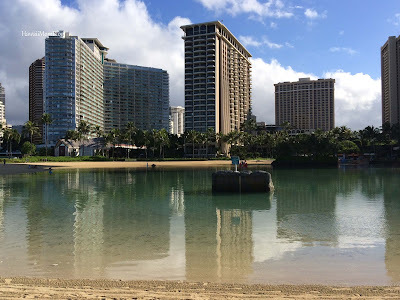 On-site is a large pool, but both days of our stay we opted to go down to the Duke Kahanamoku Lagoon. An exclusive walkway made access to the lagoon quick easy. 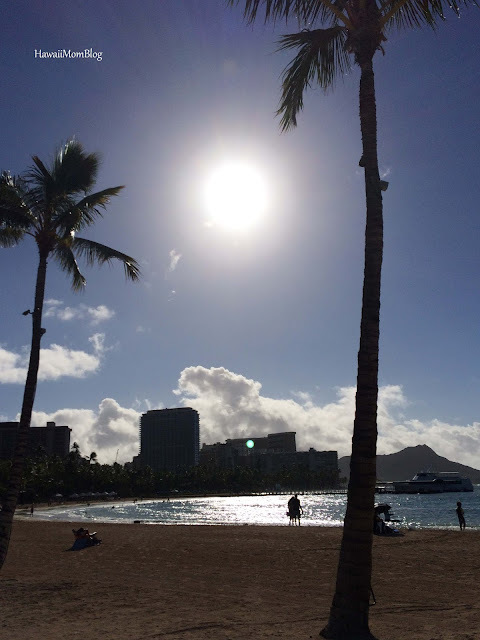 Just a few steps further is Waikiki Beach, for those who prefer to frolic in the waves. 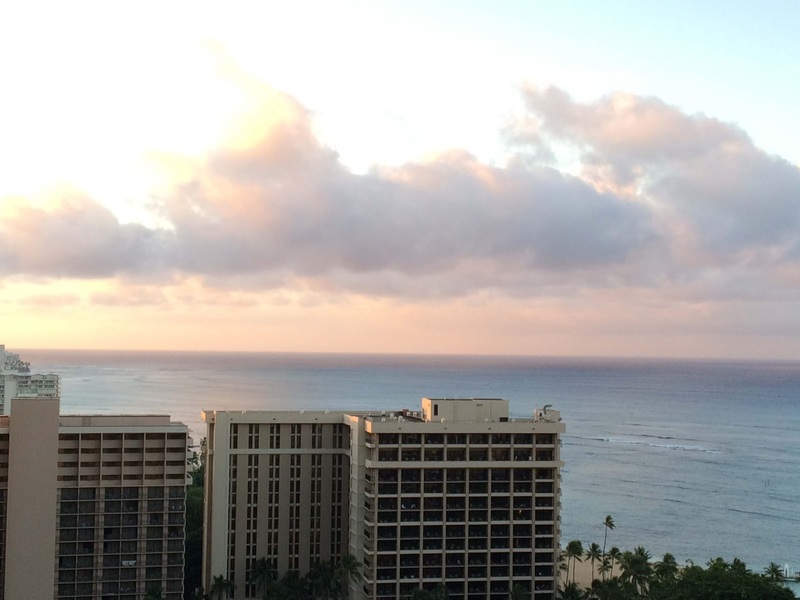 We spent hours at the lagoon, but we spent most of our staycation in the suite - which is a first for us. Often times while staycationing we're out and about - dining, exploring the city, or swimming in the pool, but this staycation was different - we really enjoyed staying in the suite, sleeping, eating, playing games, and even watching a movie!. My kids loved taking advantage of the unlimited DVD and game rentals. The suite is equipped with a Playstation 3, so my kids got to spend some time playing a new video game, and we spent a relaxing night in, all cuddled on the sofa bed, watching a kid-friendly movie. 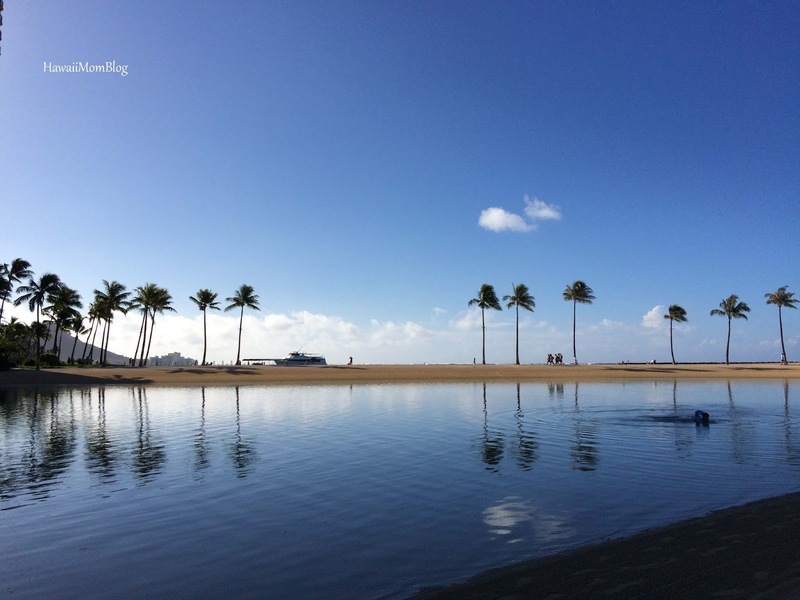 My husband and I truly felt relaxed, and my kids were carefree as well - no thoughts about school, work, cleaning the house, or what to cook for dinner. 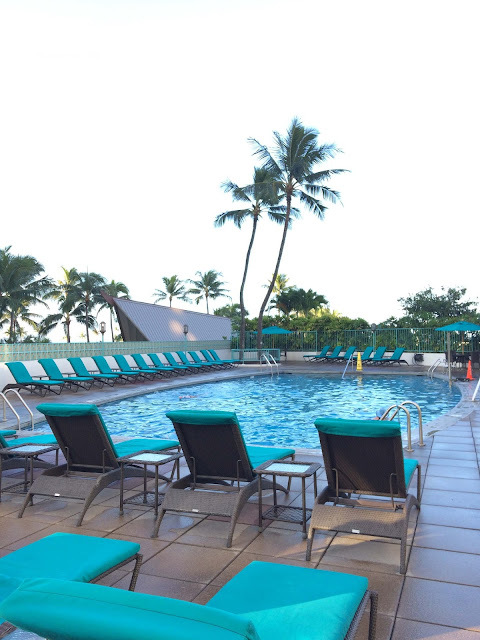 In addition to the unlimited DVD and game rentals, the Ilikai Hotel & Luxury Suites also offers a fitness center, daily newspaper, a Macy's shopping discount, use of beach chairs, and so much more! They have a few eateries on property (you can read my review of Cinnamon's at the Ilikai here), as well as a variety of retailers (they even have a little mart, Kuai Market, where you can buy groceries to cook a gourmet meal in your suite!). A sundeck allows guests to listen to live music, watch the entrancing sunset, or gaze at the night sky. 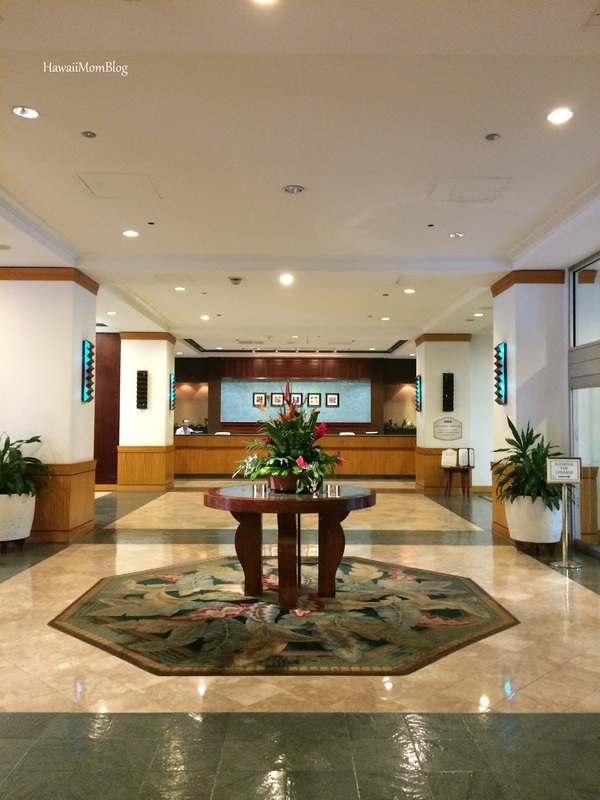 Although the Ilikai is not in central Waikiki, it is still within walking distance to numerous other shops and restaurants, and Ala Moana Center is just two blocks away! You also have access to a shuttle from Waikiki to Ala Moana Center during your stay! 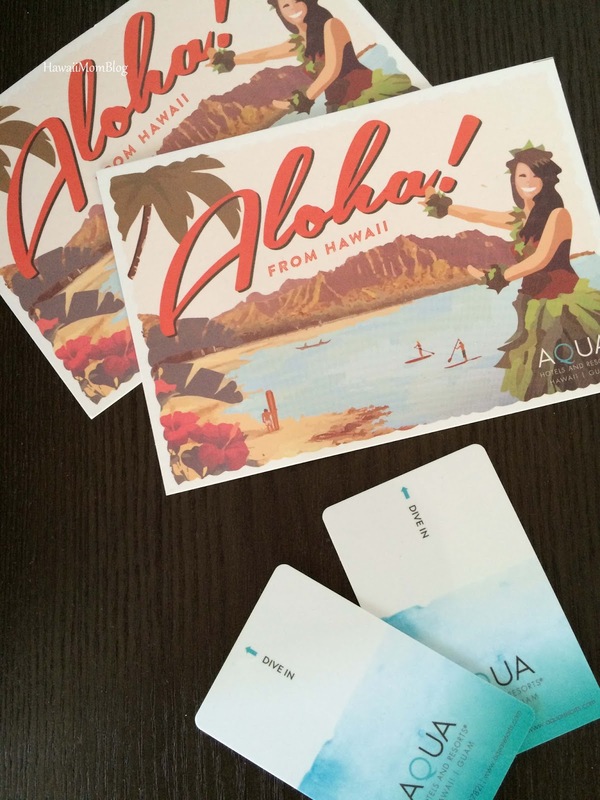 Everything about the Ilikai Hotel & Luxury Suites exceeded my expectations. 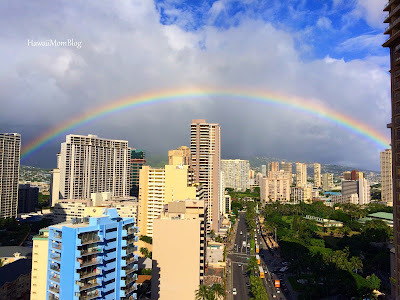 For a weekend we were spoiled in a beautiful new suite at one of the most iconic hotels on Oahu, blessed with beautiful rainbows and stunning sunsets, while enjoying and savoring our family time. 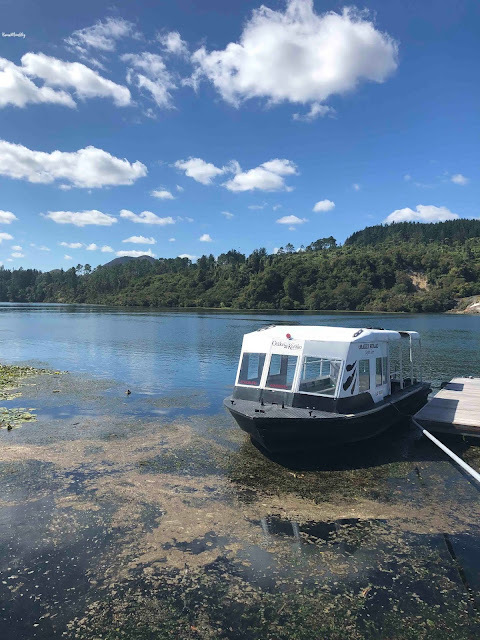 My husband and I felt refreshed and rejuvenated during our stay, and our kids had the absolute best time - and that, to me, is living in luxury! 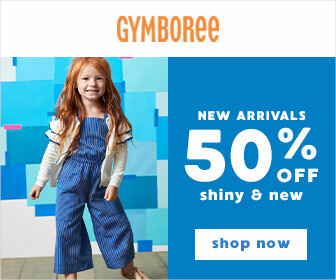 Click here for special rates. 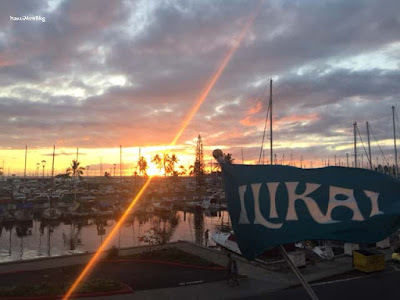 Great news for kama`aina - the Ilikai Hotel & Luxury Suites is currently offering 12% off the best available rates, starting at $175/night, as well as 50% off parking (normal rate is $28/night). 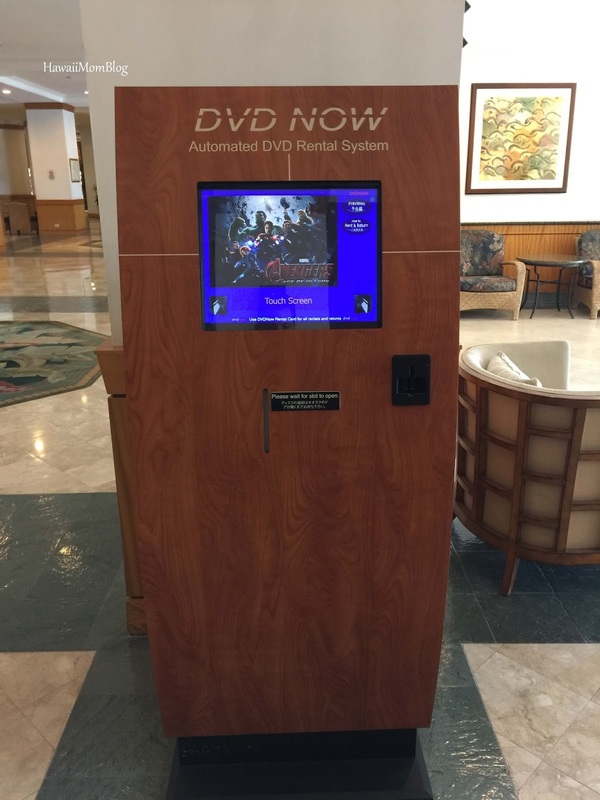 Click here for rates. Thank you to the Ilikai Hotel & Luxury Suites for hosting our stay. All gratuities were paid on my own.